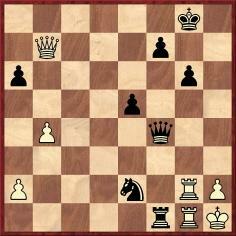 Below is a quintet of positions submitted by readers. The common theme is that in each case it has so far proved impossible to find the full game-score. 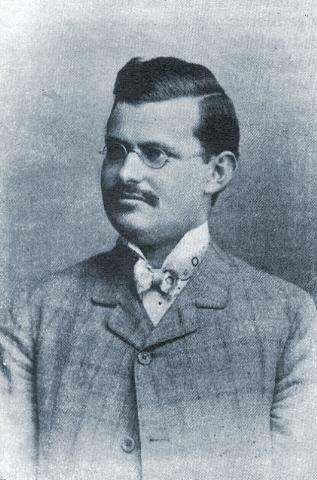 ‘I have found the ending in two 1905 sources (Deutsches Wochenschach, 15 January, page 24, and L. Bachmann’s Schachjahrbuch für 1905, I. Teil, pages 90-91), so the date “1907” given in the Baltische Schachblätter is definitely wrong. 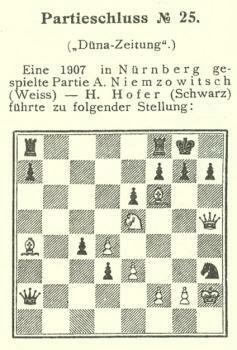 Deutsches Wochenschach stated that the game was played “kürzlich in Nürnberg”, while Bachmann dated it as “Ende 1904 zu Nürnberg”. 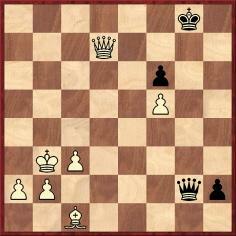 In both cases Black was named as “H. Hofer”. 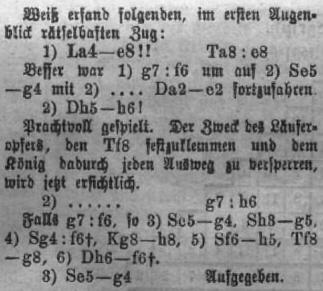 Additional analysis was published in the “Briefwechsel” on page 47 of the 29 January 1905 issue of Deutsches Wochenschach, showing that Black would have won after 2...gxf6 (instead of 2...gxh6) 3 Ng4 Qxf2. In no source, including books by and about Simagin, have we seen the complete game. As mentioned in C.N. 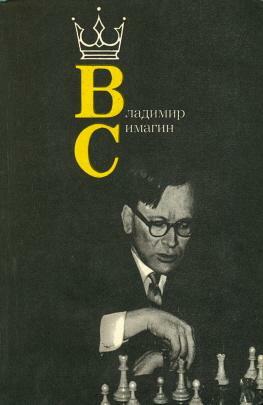 5760, Jurgen Stigter (Amsterdam) provided pages 156-158 of the 6/1947 issue of Shakhmaty v SSSR, which included a crosstable of the Moscow, 1947 match-tournament and the moves of a draw between Simagin and Bronstein. 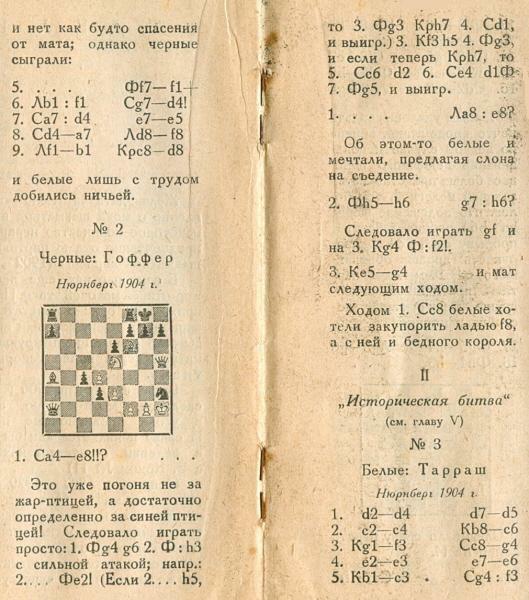 Regarding the game being sought, however, only the conclusion was published, with Simagin’s notes. See, for example, pages 196-197 of Pachman’s Chess endings for the practical player (London, 1983), which stated that the position occurred ‘just before the adjournment of a game that was important to me. 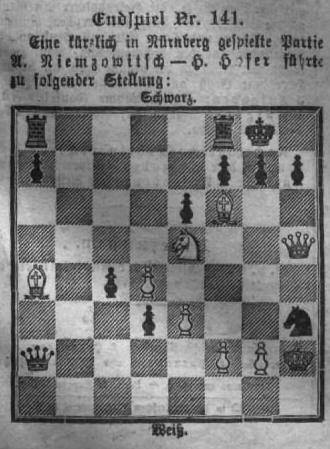 It was played in the Championships of Prague in 1944’. 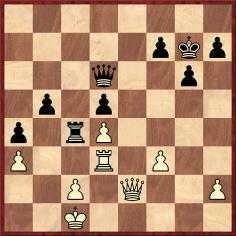 Instead of the manoeuvre 1 Ne1, 2 Nf3 and 3 Nh4+, Pachman chose 1 Nxc5, to which he appended two question marks. 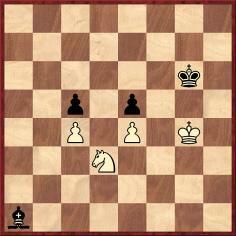 The game was then agreed drawn, at his proposal. 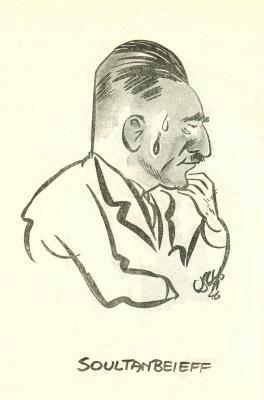 We have not found the complete game in any contemporary source, including the 1944 volume of the Prague-based magazine Šach. 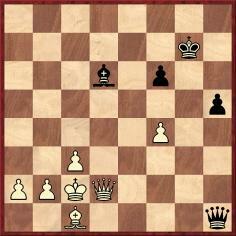 39...Qf2 40 Qc8+ Kg7 41 Qc5 Rxg1+ 42 Rxg1 Qf3+ 43 Rg2 Qf1+ 44 Rg1 Ng3+ 45 hxg3 Qh3 mate. 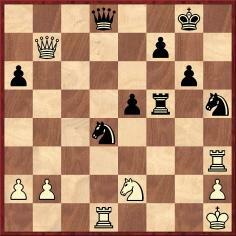 The above comes from page 186 of Chess Curiosities by Tim Krabbé (London, 1985), and in C.N. 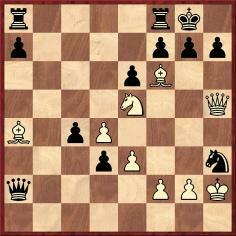 6463 Claus van de Vlierd (Oldenburg, Germany) asked whether the full game-score is available. Latest update: 10 November 2013.